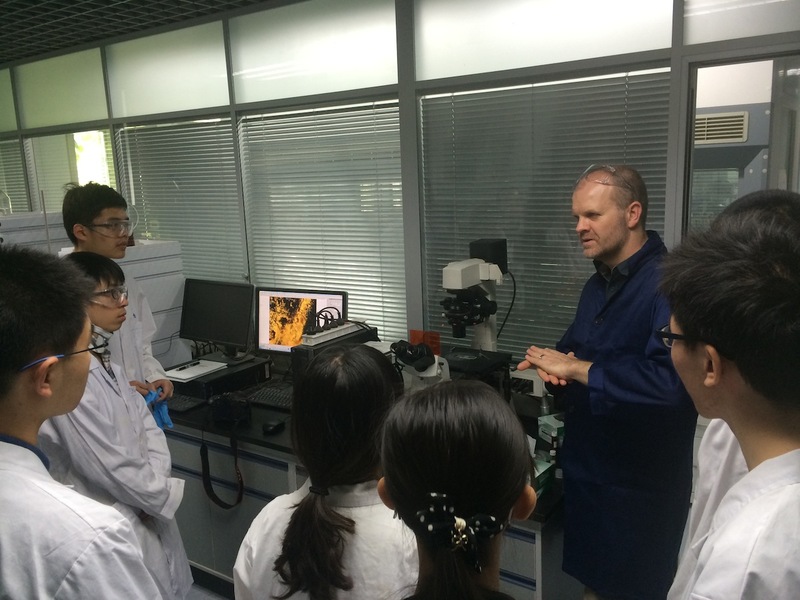 Soft matter matters at Tsinghua! 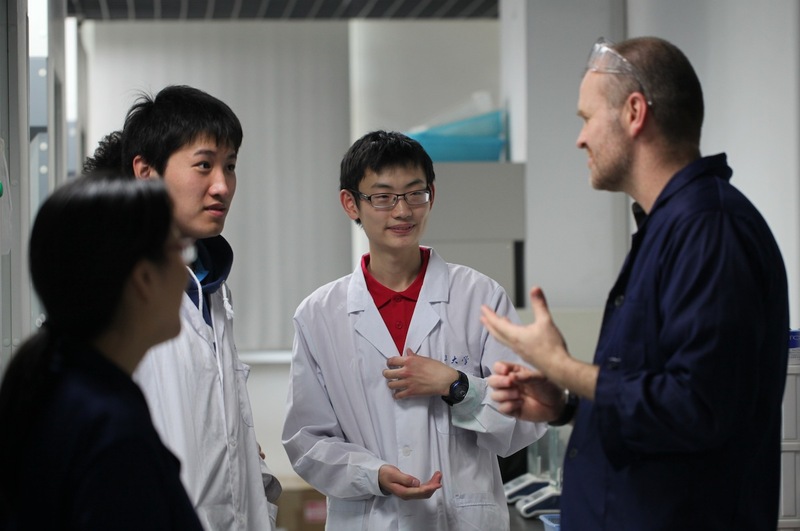 Charl finished his “Introduction to Liquid Crystals and Soft Matter” course for undergraduates at the Department of Chemistry at Tsinghua University earlier this week. As part of the course, the students spent a morning in the laboratories, making their own liquid crystals, and observing the fascinating textures using polarised light microscopy! This entry was posted in Collaborations, General interest by Faul Research Group. Bookmark the permalink.